We’ve all seen how the current government shutdown is affecting government employees and contractors, but it’s also impacting small businesses across the country. The Small Business Administration (SBA) is among the agencies currently closed. 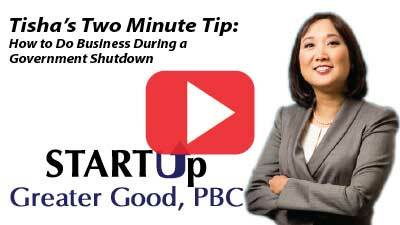 If you’re relying on funding from the SBA and are afraid to enter into a business agreement because of the shutdown, Tisha has a work around for you in this week’s two-minute tip.